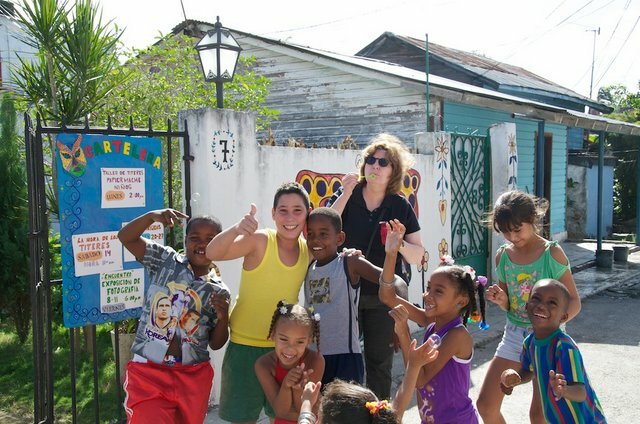 InsightCuba caught up with Darcie Goldberg, Executive Director of the Chester County Art Association, following the organization’s two consecutive trips with insightCuba. The non-profit, cultural institution, founded in 1931, provides art education and exhibition space for artists of all ages and aspirations. InsightCuba: Why insightCuba? 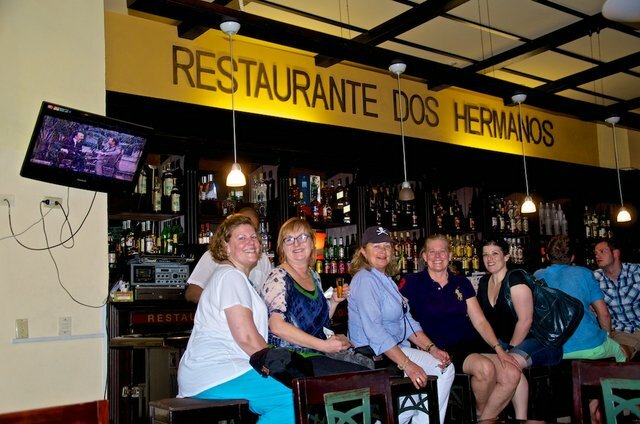 What is it about our organization that enticed you to book not one, but two custom tours? Darcie Goldberg: I looked at different companies and non-profit groups, and talked to many of them, but I found a real comfort with insightCuba. 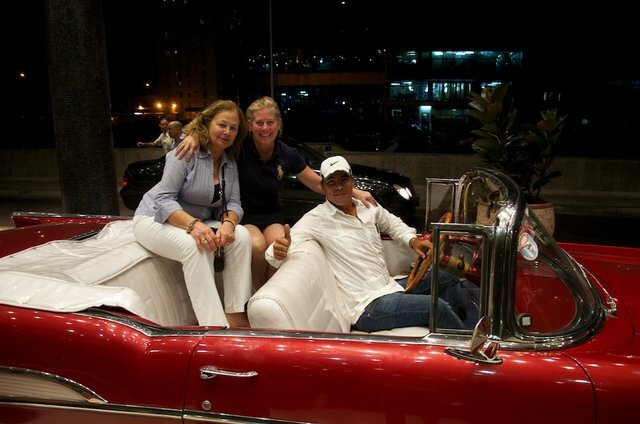 I felt that they answered my questions and were the go-to company for Cuba. That was the beginning of our journey with insightCuba. Our first trip was beyond expectations. We couldn’t have asked for anything better. Everyone fell in love with Cuba and the guides. We loved Shabnam Samoohi and Patricia Morgovsky. They were terrific! Having had such a great experience the first time around, we went back to Insight for a second custom tour. 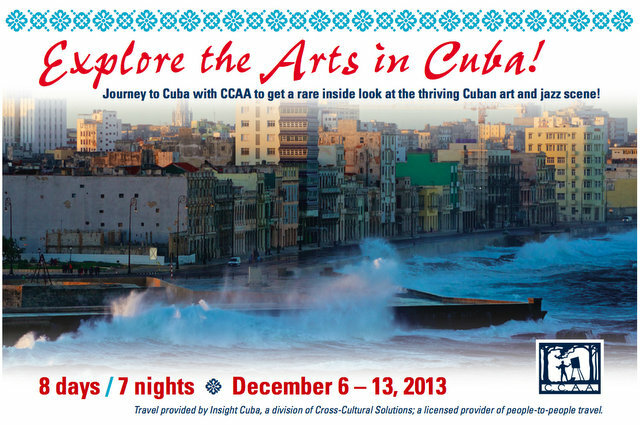 Why did the Chester County Arts Association decide to go to Cuba in the first place? Because of the arts. Cuba is so unexplored, and there are so many layers. What I noticed when I got there were the people. They didn’t have all the communications, the luxuries or the technology, but they had the arts. The arts are a piece of them, of every single person I met. The arts have helped them survive, grow and expand on a different level than most people. They have passion, and it comes through. It’s incredible to see a dance performance that could have taken place at The Metropolitan. It’s that passion that kept coming through at every meeting we had. What does the organization hope to achieve through these trips? We hope to bridge some gaps. We left lots of art supplies everywhere we went. That was part of our goal for the Chester County Arts Association: to reach out to the artists, to help them. We wanted to open up communication on a different level, but also to show our artists and patrons this passion and love for the arts, and how that flourishes. Despite all the economic troubles and all that isolation, the arts are what kept them moving. When I went around the bus and asked everyone why they were there, it was interesting that a lot of the answers were “inspiration,” “I want to learn,” “I want to see Cuba before it opens up,” “I want to see the arts on a level much different than ours.” Everyone agreed. Art is a piece of their soul. And it really puts things in perspective: Do I need this? No, I really don’t. All you need is passion and love, and they have it. I’ve traveled extensively, and I’ve never seen a culture so engaged in their arts. Never! I loved going to this school where the kids who were dancing were so proud of what they were doing. One of my best experiences there was the Havana Jazz Festival. I looked around the auditorium and saw probably about 5,000 people, and when the performer walked on stage, you could hear a pin drop. I looked over, as I was sitting in the middle of the balcony, and it was full of teenagers and young people who knew every musician. Where we’re from, we’re lucky to see anyone under 40. That’s why I can’t wait to get back there. It’s not just about seeing; it’s a feeling you get when you’re there. 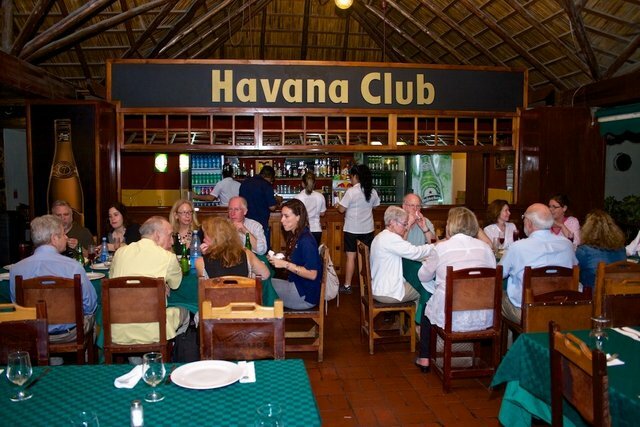 Some of your members went on two of our insightCuba tours. What brought them back? Out of thirteen, seven returned. I think it’s because insightCuba included so many unique experiences that we don’t get here in the United States. For instance, we went into this one artist’s house and he had a long table set up for sale. When we went back, that same table was on the patio, where we he had set up lunch for us. It was so special! I think insightCuba has really done its homework. As a group leader, I loved working with John, Alison and Jessica. They really listened to what we wanted, and did a lot of planning to make it happen. To have that rapport and the communication between Insight and the organization was really important. “Why did I decide to travel to Cuba twice in one year? My fear was that I would be disappointed because I had such high expectations after the first trip. The second trip, however, wowed me. Seeing Havana without seeing different parts of the rest of Cuba is akin to seeing New York City and never seeing any other parts of the U.S. The beauteous decay. Yes, the buildings are decaying, but the bones are still beautiful. The vibrant colors. When I came back to Pennsylvania, I was shocked by the monotony of our colors. What was most intriguing—the arts and culture of Old Havana or the Afro-Cuban culture in Santiago de Cuba? Most intriguing was to see all the layers of the culture and the arts. The arts have kept them going for so long, it’s their passion, hope and inspiration for the future. Our guide gave us a great history of Cuba. In Havana, we loved the city, the arts, the museums. There was so much to see. But going back the second time and traveling to Santiago and taking the bus to Baracoa really gave us a different feel of Cuba: the vastness of it and how different it all is. To just see Havana and not other cities really gives you a different impression. For instance, in Havana you see the classic cars and the coco taxis, but when you go into Baracoa, you see the horses and different transportation modes they rely on, and they are so productive with what they have. Whenever I would go out to take photographs, either early in the morning or late at night, I found Havana one of the safest, cleanest cities I’ve ever been in. Their infrastructure is certainly not what it used to be in the sense of having the resources to rebuild and repair, but it’s still a clean city. The Afro-Cuban culture is the one that really showcases their history and heritage. You could see it in the dance, in the rumba and salsa; it’s so much a part of them. So, not sure if I could say one was more intriguing than the other—they were totally different—but they were all a confirmation of the different layers of Cuba. What were the groups’ favorite encounters? During our first trip, we had a private concert—a world-renowned trumpet player, in a family residence—and thirteen of us sitting there. We listened to the concert for an hour and a half. He had cello players, a base, a drum, keyboards, some of his family and friends, and then us. He brought us to tears. We were really moved. And then he brought in a beautiful girl in a yellow dress. She had another performance that night and could only stay for a short time. She was phenomenal. Later that night, we went to the Havana Jazz Festival and saw onstage, in front of 5,000 people, that same girl in a yellow dress. That showed us the level of what we had available to us. On our second trip, in Baracoa, we went into the studio of a young artist who had minimal supplies. We also went to an indigenous group, outside of Baracoa, that was trying to bring forth their dance and culture. That was a unique experience, and everyone loved it. They were preserving and passing down their arts and stories from generation to generation. The arts tell a story, and they were passing down their stories. What does the future hold? 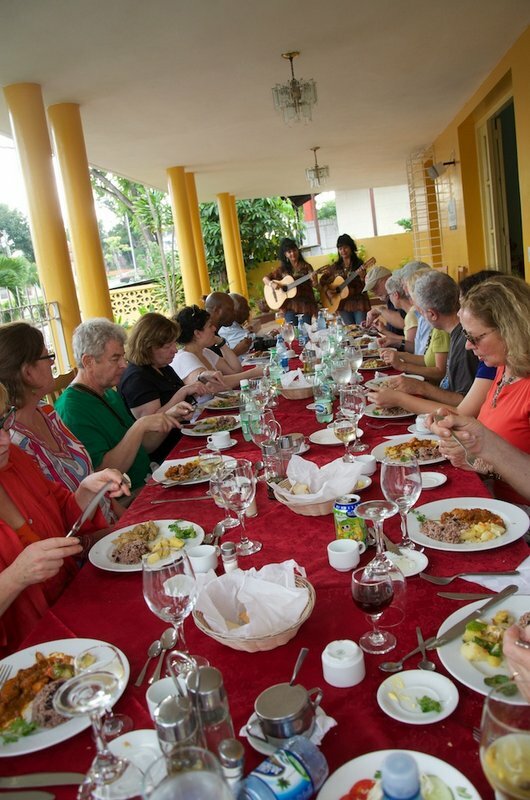 What are you planning for your third custom tour with insightCuba? I’ve been talking to John Holahan, the Custom Group Travel Manager, about a third custom group, at a different time of year. I want to see kids swimming off the Malecon in Havana. We were thinking of going in June, 2014, and visiting Trinidad. Darcie Goldberg is a professional photographer with over 30 years experience. Her extensive travels and strong award winning black & white photographs have been featured in solo exhibitions, as well as in public and private collections. After several years of freelance work and teaching B&W film and darkroom, she completed her Masters in the Creative Arts at Hahnemann University, Philadelphia. She has been the Executive Director of the Chester County Art Association for 17 years and recently completed a lateral move to Facility Development Director where she will lead CCAA’s Capital Campaign for renovations. She continues to pursue her photography through documentation of her travels and exhibitions to exotic locations. She specializes in B&W handmade silver gelatin prints. Inspired by a recent trip to Cuba, she plans to pursue documentary and street photography with digital images and reproductions, as well as medium format film and photographs. She lives in West Chester, Pennsylvania.